Trick or Treat Studios and CBS is proud to present the Star Trek - 1975 Captain Kirk Mask. This mask is based on the most sought after mask in mask collecting. And why is that you ask? Because this is the mask that was converted to make Michael Myers from John Carpenter's classic Halloween. 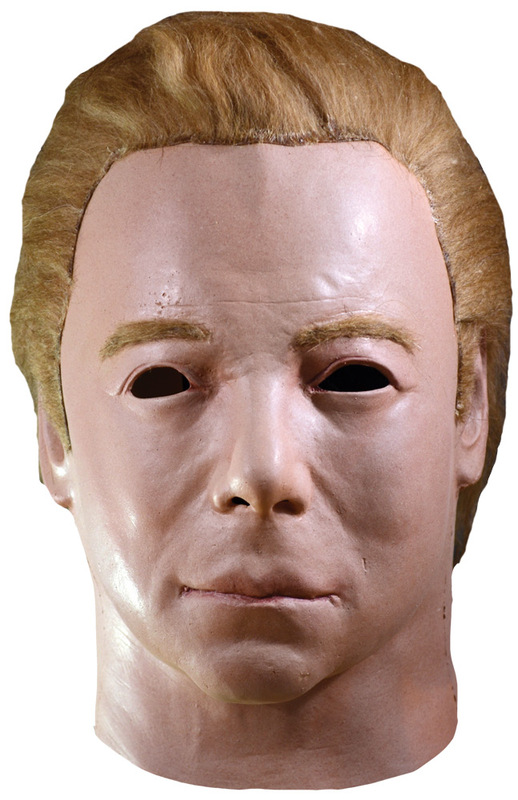 So get yourself a Star Trek - 1975 Captain Kirk Mask and beam down to your town this Halloween, or convert it, to make the ultimate motion picture serial killer! Ð’Â©2017 CBS.